The original Temple Bar Studios were located in a former clothing factory. This purpose built premises contains thirty artist’s studios in a range of sizes (available for artists to rent) and the gallery. 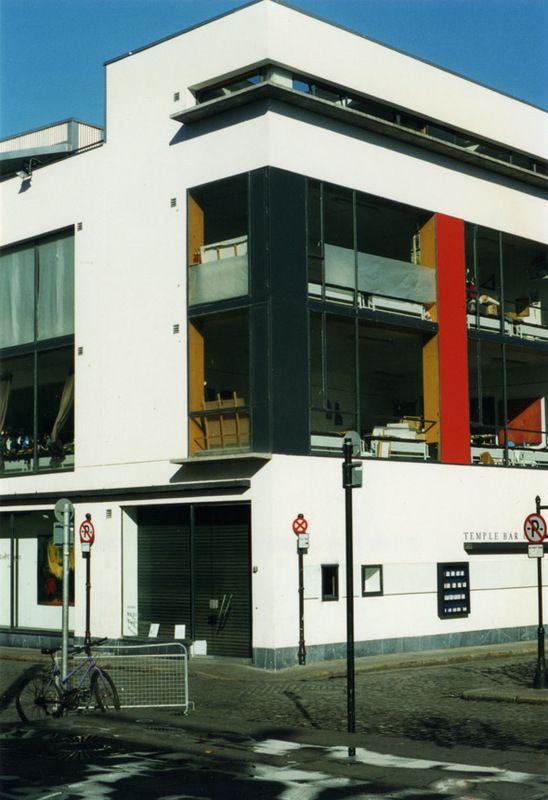 The building is based at the corner of Temple Bar Square and is four stories over a basement. The use of prismatic forms and bold primary colours gives the building an early modernist look and creates a focal point for the surrounding public space.